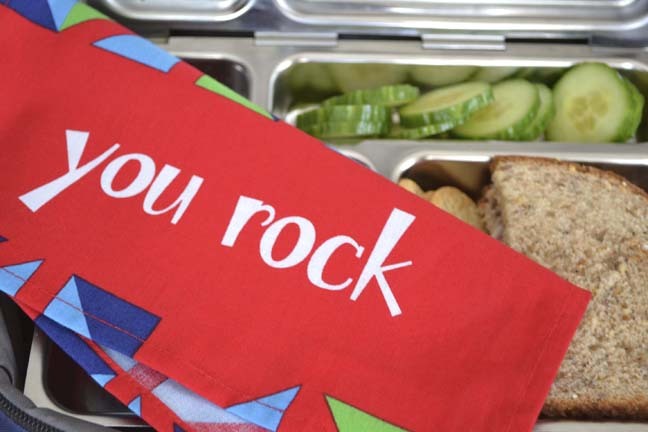 Originally created by a mom for her own kids, PICKmeUP Napkins are not only bright colorful reusable cloth napkins with cheerful messages on them like "You Rock" or "I Love You". They're also eco friendly to teach kids how to reduce waste. These come in a set of 5 napkins -- one for every school day of the week with­ 3 different sets available. Add a smile to your child's day by placing a PICKmeUP napkin in their lunchbox or use at any meal or snack time at home. Approximately 10" x 10" machine washable, 100% cotton CPSIA Compliant, lead and phthalate with a sewn in label with space to write your child's name. And guess what? You have the chance to enter and win a set of these cute and clever napkins below. The winner gets their choice of one of three napkin sets (Fun Picks, My Hero or My Sunshine patterns) valued at $25. 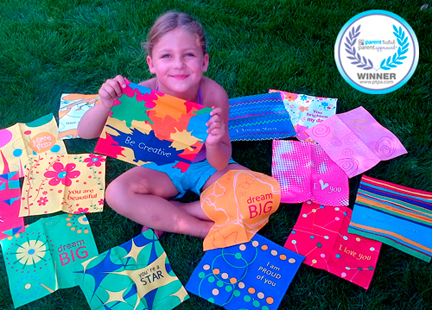 MommyBlogExpert's PICKmeUP Napkins Giveaway ends June 25, 2015 at 12 am PT and is open to legal residents of the U.S. and Canada. Winner receives their choice of one of three sets of 5 PICKmeUP Napkins. Winner of this MBE contest will be selected at random from all entries and will be notified via email and must respond within 24 hours to claim their prize. Learn more and purchase PICKmeUP Napkins on the official website as well as follow the brand on Twitter, Facebook and Pinterest to keep up to date all all company news. FTC Disclosure: PICKmeUP Napkins is responsible for delivering the prize to the winner of this giveaway. I did not receive any compensation in association with this post. See complete FTC Disclosure information that appears at the bottom of MommyBlogExpert's main page and at the bottom of every individual post on this blog, including this one. I would use them for my sons lunch box their super cute! I like to win these for my son. This would be perfect for my two daughters, so I want to win for them. I would love to win these for my kids. I already have some but since they're all the whole family uses, I could definitely use some more!